Testing & Development is at the forefront of our operation. Research and Development is a key ingredient to the success of any organisation. VCS has a dedicated development department where our development engineers experiment with new ideas and concepts in vehicle design. Our development department are also charged with speeding up the production process and manufacturing methods to create a more efficient organisation. The market place is constantly changing, VCS keeps ahead of the curve with changes and new developments thanks to our development department and its skilled staff. VCS is constantly testing; safety and compliance in our design are high on the agenda within VCS. We believe that correct and comprehensive testing is of upmost importance. As such, the company invests a sizeable amount of its resources into testing for CEN Compliance requirements. In addition VCS also tests all seating to current Bus / Coach Standards. 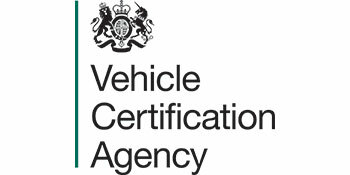 All testing is completed at MIRA / Millbrook / TRAC / sites and witnessed by the VCA (Vehicle Certification Agency). VCS is also the first UK Ambulance manufacturer to achieve Reg 14 on certain seat types within our Van Conversion range of Ambulances. When it comes to testing VCS is at the forefront, our philosophy is simple “If it’s not tested its not compliant”.